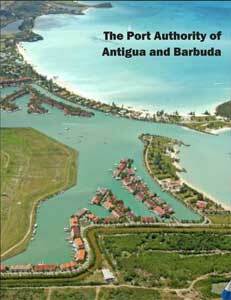 The Port Authority of Antigua and Barbuda is the quasi-governmental institution that oversees the maritime ports on this island country in the Eastern Caribbean. Antigua and Barbuda is part of the nine-member OECS (Organization of Eastern Caribbean States) group, which also includes the Commonwealth of Dominica, Grenada, Montserrat, St. Kitts and Nevis, St. Lucia, and St. Vincent and the Grenadines. 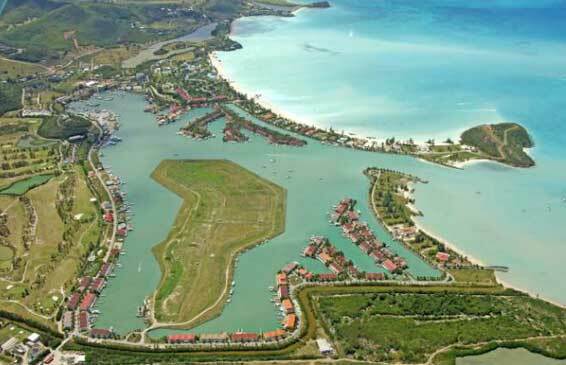 Antigua’s main commercial port is Deep Water Harbour in the capital city of St. John’s. It handles all the cargo that is imported into the country. Also in St. John’s are the Nevis Street Pier and Heritage Quay – both ports of call for major cruise lines. Other, smaller marine ports include Falmouth Harbor and English Harbor on the southeast section of the island, and Jolly Harbor, a little further to the south. Deep Water Harbor was built between 1965 and 1968, and opened to commercial traffic in 1969. It was constructed as a “break bulk” terminal. In shipping, break bulk cargo are goods that must be loaded or unloaded individually because they are not transported in intermodal containers, but rather in bags, boxes, crates, drums, or barrels. The term break bulk derives from the phrase “breaking bulk” – the extraction of a portion of the cargo of a ship or the beginning of the unloading process from the ship’s holds. Darwin Telemaque, the current CEO of the Port Authority, is in the second year of his two-year appointment. He came to lead the agency after a successful agribusiness career and as a consultant to the World Bank. One of his missions is to transform the Deep Water Harbor port, which is at the end of its fifty-year cycle, and build a new facility that will help usher in a new economic paradigm, revitalizing not only the port, itself, but the country and OECS region, as well. It seems that time has finally come. 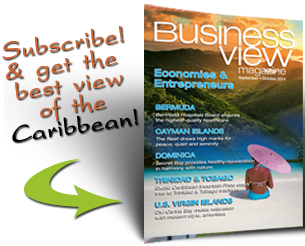 In December 2014, Prime Minister Gaston Browne announced that the port would be completely rebuilt with a $225 million investment from the China Civil Engineering Construction Corporation (CCECC), which will be providing funding, manpower, and technical expertise. For Telemaque, the news couldn’t have been timelier. “Not only is it outdated in terms of the current style of operation,” he says, “but the port, itself, has deteriorated. The piles are sinking; the seawall has thinned out to a level where it’s dangerous; the container yard is undulating all over due to depressions. And so the entire environment is at a point where it is pretty unsafe to be operating there, at present.” In fact, in October 2013, the port administration building on the key had to be evacuated because it was slipping into the ocean and starting to collapse. To this day, administrative personnel are working out of temporary quarters. In addition, the new port terminal is being designed to attract private businesses that will be able to replace some of the services now provided by the Port Authority. “Currently, the Port Authority is the regulator and service provider,” states Telemaque. “By becoming just a regulator, we can allow the businesses, themselves, to structure services that we would never get involved in. We believe that a combination of a well-structured logistics environment at the marine terminal can filter into all the islands and thereby create a logistics chain that can be attractive to businesses. In addition to the new marine terminal, Antigua is also completing construction of the new, state-of-the-art, $98 million, V.C. Bird International airport. Together, these two new facilities will help position Antigua and Barbuda as the leading trade hub for the Eastern Caribbean. And, perhaps, within the next few years, Darwin Telemaque’s vision will become the county’s new dynamic, and the inland will truly be changed and renewed for the better – from the coastline.